The idea of the sabbatical has been trending for years, but the concept, despite its proven benefits, has never properly caught on. While we may theoretically love the idea of an extended 'vacation' knowing we have a job to return to (often a company guarantee), the inertia can be difficult to overcome. When it comes down to crunch time, we worry about keeping up with monthly installments, career stagnation, alienation from the work team, and the loss of purpose. Then real life hits us in the face. We’re overworked, exhausted, unproductive, moody, and stifled. It’s a wake-up call that many common day work addicts don’t answer - not because we can’t, but because we’re afraid to seize the opportunity to make change. Counterintuitive as it may seem, taking a career break won’t set you back in life. In fact, sabbaticals make you more competitive. Not dealing with time constraint allows you to find out what industry peers are doing - through research, conferences, travel, or even hands-on fieldwork. If you’re in between jobs, having the time off will give you the space to freely explore other interests, which will widen your skillset and make you more employable - or even leapfrog you into an entirely new career. New life experiences leads to new ideas. Design guru Stefan Sagmeister is known for his yearlong break every seven years. As a huge proponent of sabbaticals, Sagmeister notes that ideas generated during his break inspires seven years of creative work, which not only benefits his company but also society at large. Refreshment leads to productivity. Being immersed in work 24/7 can be mind-numbing. Taking time to reset your physical and mental well-being increases clarity while also resetting important life goals and priorities. Rejuvenation has a domino effect. Time off from work is undoubtedly refreshing. What’s often overlooked is the renewed energy that people bring back with them to the office. Positive, energetic leaders are more productive and inspirational to their team, and that translates to an increase in productivity in the office. So make life count. Take time off to be the best version of yourself. Have you taken a sabbatical? 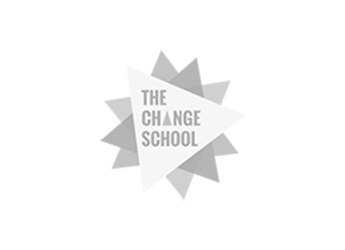 Share your story with us at hello@thechangeschool.com.